← What Happened to the Netflix Rating System? A couple of months ago, I blogged about my IRS woes. To sum it up, the IRS changed the due date for business owners who have to file Form 1065 from April 18th to March 15th. Said blog explained how I got a lovely notice for want of $780.00 for being late, and how I was going to fight, fight, fight. I know you are all thinking this couldn’t turn out well for me. 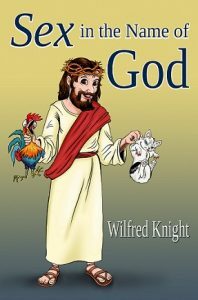 Did the Wilfred prevail? Did the Wilfred win? The taxpaying people will rejoice in my victory and scream with glee: Show me the money! Well, er… um… I can’t. I don’t have it. I sent the stupid penalty check to the IRS with my begging and pleading letter. According to my bank records, this check was cashed approximately 3-4 days after the letter was mailed. Who says the IRS isn’t efficient!? Let me splain. I have heard how the game is played. You try to get out of paying, so you don’t send funds. 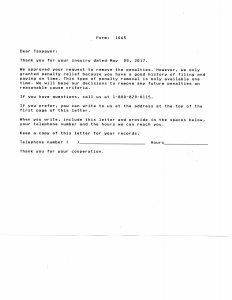 The IRS frowns on that act by rejecting your original plea, and then adds penalty and interest upon interest to the originally contested sum. What I did receive from the IRS was a letter stating that they have reconsidered the matter and that I don’t actually owe them that penalty after all. No refund was included. However they did send a voucher in case I needed to make a payment. Very thoughtful. My feelings were slightly hurt by the unapologetic tone the IRS took. Don’t get me wrong. I am happy for my letter of excusal, even though it isn’t worth the paper it is printed on. Actually getting the money back is apparently another ordeal. But, I believe I am on the correct path. Don’t be overly aggressive. You and I know the IRS was in the wrong. But, you and I also know not to mess with the IRS. Don’t threaten, save that for later. Be forthcoming about why you missed the new deadline. You might have been busy walking little old ladies across the street, rescuing kittens from a tree, or working on a cure for cancer. In all reality your ace in the hole is element number one in the Taxpayer Bill of Rights as listed on the IRS website. Absolutely refer to and emphasize the point that the taxpayer has the right to be informed, and that you were not informed. This entry was posted in Uncategorized and tagged #1065, #deadline, #Filingdeadline, #filingtaxes, #form1065, #irs, #irs.gov, #irsabuse, #irspenalty, #Newdeadline, #taxes, #taxesdeadline, #taxpayer, #taxpayerbillofrights, #taxrefund. Bookmark the permalink.